Based on 1470 customer ratings. If you’ve ever tasted stuffed Italian Easter pie, you’ll know why Chicago is famous for serving the best deep dish pizza in the world. Giordano’s is Chicago’s landmark restaurant that pioneered deep dish pizza in 1974, and now we’re thrilled to bring our unforgettable Italian classics to Phoenix, AZ. Indulge in a stuffed deep dish pie and other Italian favorites from Giordano’s and find out why Giordano’s is the best pizza place in Phoenix! Stop by our restaurant, or order the best pizza delivery in Phoenix, the next time you have a craving for flaky crust, fresh and flavorful toppings, and fluffy Wisconsin mozzarella. It takes 6 trained artisans to handcraft every Giordano’s deep dish pie, which we slow-bake for 35 minutes so the crust achieves pie-like perfection. Looking for more than pizza? Explore our full menu, where you’ll find a wide range of deliciously satisfying sandwiches, appetizers, pastas, salads and desserts. We have gluten-free options, too — just ask! 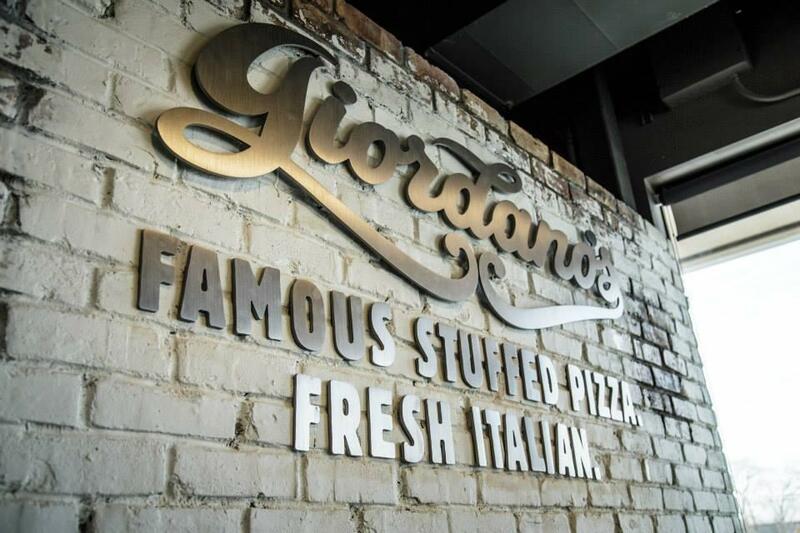 Giordano’s is ready to meet your every dining preference. Stop by our restaurant and enjoy an adult beverage as you take in our Chicago ambiance. Order for takeout or delivery, and eat wherever you’d like. You can even book a party in our private room. Call us for more details. Come to pizza heaven. Come to Giordano's!